If you have a query that is not covered below please contact our Support Team who will be happy to help. Please use the Contact page. Q: How long is the warranty on cartridges and toners? Q: How long Is the shelf life of ink cartridges? Q: Does the printer cartridge I use affect my printer warranty? Q: What do I do if I have a cartridge that is faulty? Q: I can't find my printer listed? Q: Can I order over the telephone? Q: What do I do if I no longer want my cartridges? Q: How efficient is customer support? Q: How long for delivery to Europe? Q: Can I order if I am outside Europe? 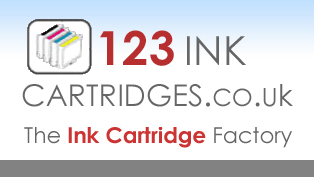 Q: What are 123 Ink Cartridges opening hours? Q: How can I be emailed your offers? Q: How do I unsubscribe from the mailing list? Simply click here, we're sorry to see you go and we will remove you immediately. Q: Are your cartridges new? Q: Is the payment server secure and are my card details safe? Q: Do you have an affiliate programme I can join? Q: Beat-a-quote! - I want to shop but I want a deal, can I negotiate? Q: How should I store my cartridges? Q: Can I choose my own colours? Q: I have not received my free gift? Q: Can I order and pay much quicker, I shop here a lot . Q: I want to order for a school / university / local government with an official order how do I ?